We’re six months away from the opening of our monumental exhibit Electric Desert: A Light and Sound Experience, and we’re spending a lot of time dreaming out in the desert. 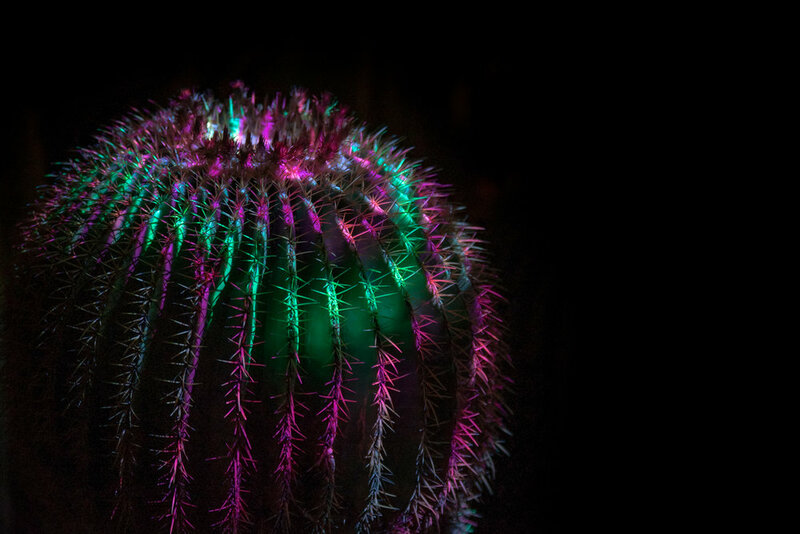 It opens in October at the Desert Botanical Garden in Phoenix, AZ. This nighttime experience will follow the success of Nightscape: A Light and Sound Experience in a desert climate with a whole new canvas of garden forms. Lighting will play a larger role with hundreds of pixel mapped LEDs and an eight foot tall infinity light sculpture. 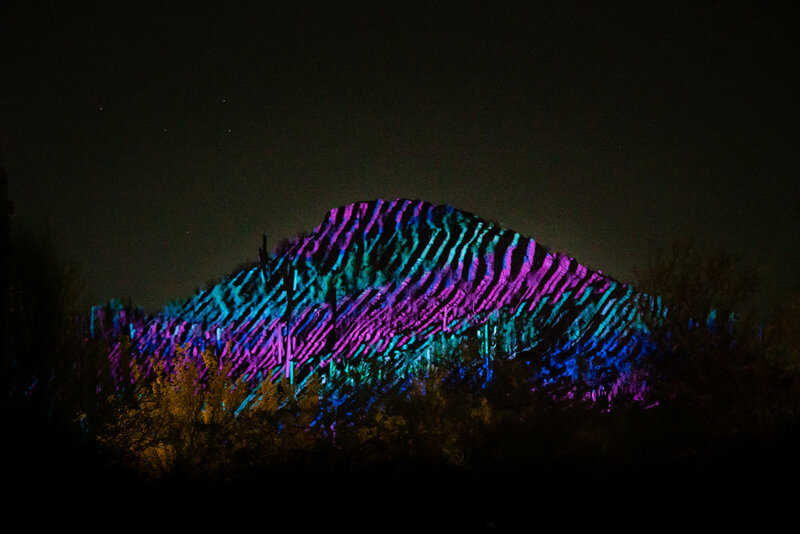 We’ll be turning cacti, succulents, and rock formations into a living nocturnal canvas, using the Garden and its unique landscape as a backdrop for new and exciting audio and visual experiences. 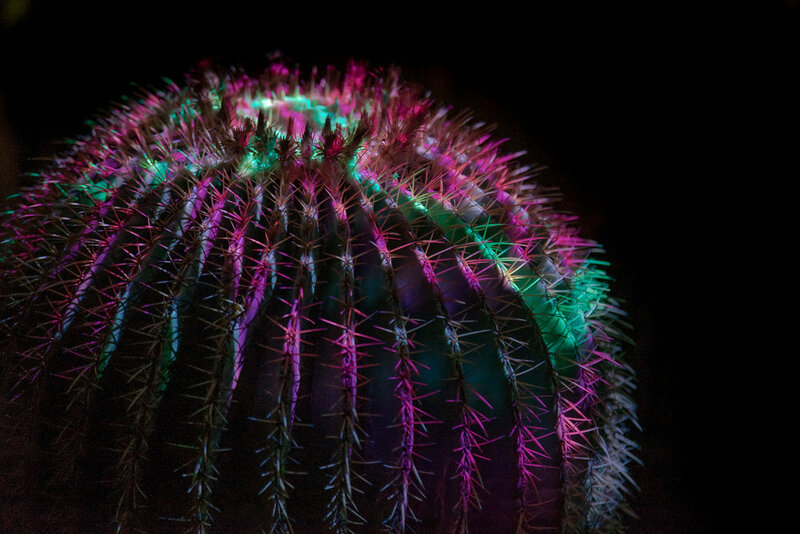 Electric Desert will include six site-specific immersive projection environments, each inspired by and related to the Garden. 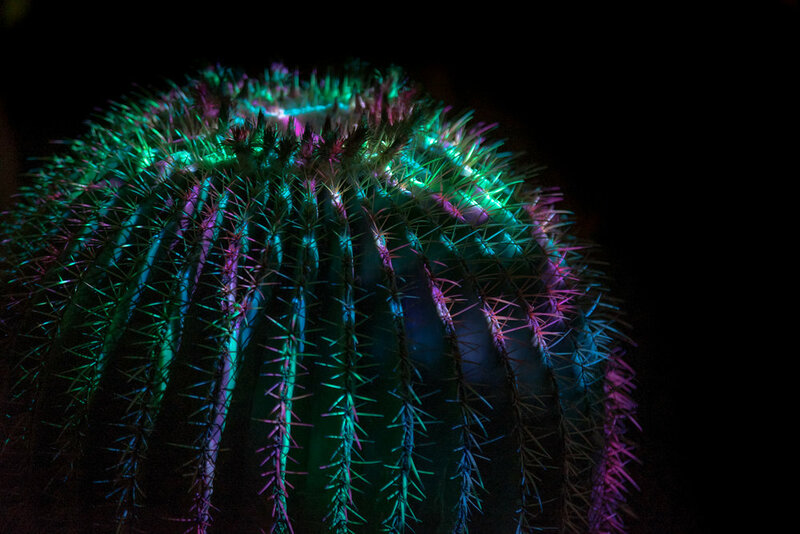 These will take place at the Ottosen Entry Garden, the Sybil B. Harrington Cactus and Succulent Galleries, Stardust Plaza, the Fine Family Contemplation Garden, the Sonoran Desert Loop Trail and the Garden’s butte. 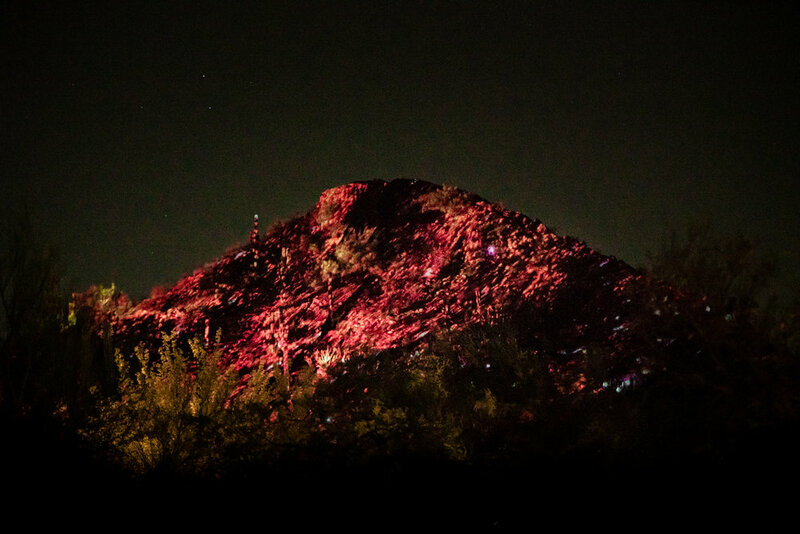 We spent much of last week testing projections on the Garden’s large butte and smaller succulents. Running tests is an important part of our process to refine our installation design for equipment placement, and it provides a perfect opportunity to try out a wide range of potential animated video content. 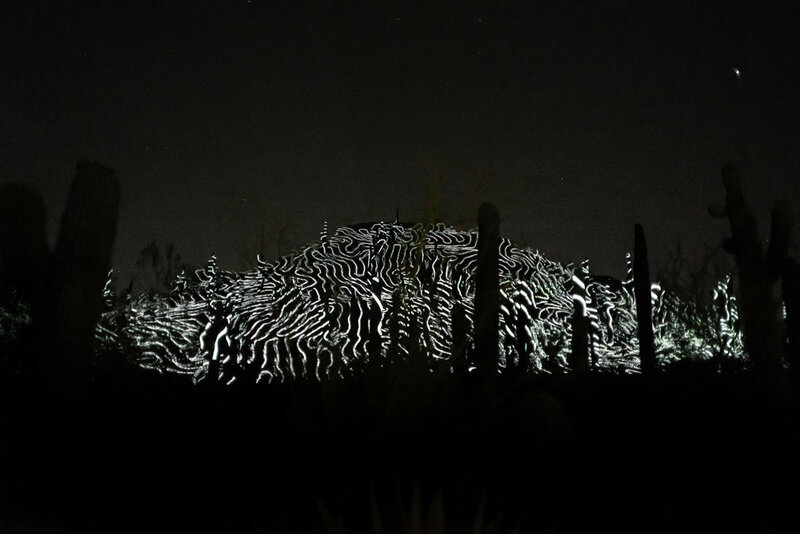 For this newest chapter in our work in immersive botanical projection experiences, the 3D forms of the natural landscape are an irregular canvas that set the foundation for our work. We experiment with motion and color to see what works, what doesn’t, and to find happy accidents that get refined and incorporated in the show. Back in our studio in Philly, we pore over the documentation of our tests, and keep working until our next visit this summer.